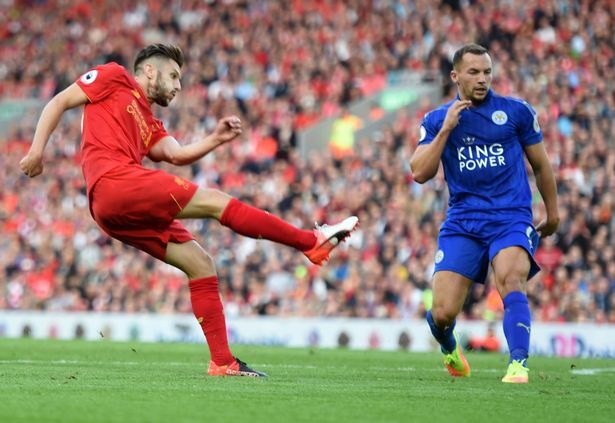 Adam Lallana was named Liverpool’s Player of the Month for September, even though Sadio Mane won the Premier League’s official award! What’s more, Coutinho, Jordan Henderson and probably Roberto Firmino have an argument to have collected one of the gongs themselves. That shows how fantastically well we’ve done this month, both collectively and individually. In fairness, Lallana was perhaps the pick of the bunch, even including the electric Mane. Playing as part of a central midfield three, Lallana scored twice and assisted twice, but put in seamless overall performances from his new role slightly to the left of midfield anchorman Jordan Henderson. “It has been a great month. We have been very successful as a team,” he told the official website. “It is nice to get the award but I think it could have gone to anyone in the whole squad. We have started the season very well – it’s great to see. “The award could have gone to a number of people – we have been performing that well as a team. When you perform well as a team you are going to get players playing well individually. “That’s what we want to happen. Neither Henderson, Lallana or Gini Wijnaldum (the other member of the midfield trio) had played in their respective positions before the beginning of this season, which shows how well all have done to adapt. Lallana played from the right mostly last term, while Wijnaldum was also deployed from the wing, in a role for Newcastle which didn’t include defensive duties. Now, all three are charged with creating and destroying; and it’s working a treat.